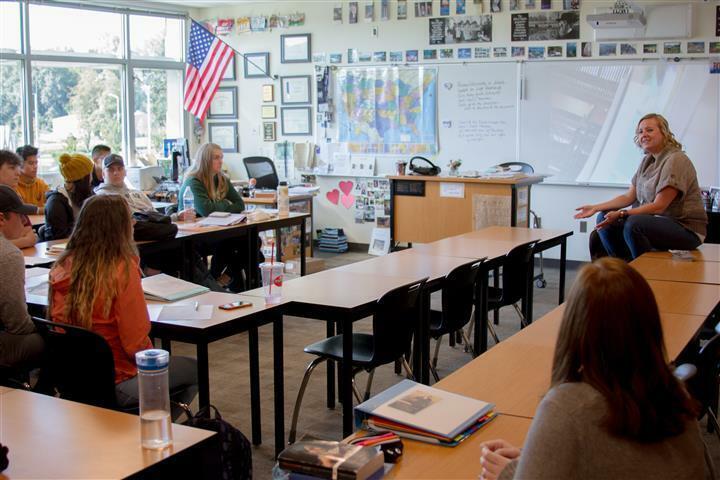 Sharon “Shari” Conditt, a social studies teacher at Woodland High School, invites visiting professionals to present to her classes and uses field trips to provide students in her Advanced Placement (AP) Government class with a variety of enriching opportunities in order to learn how the American political system works. 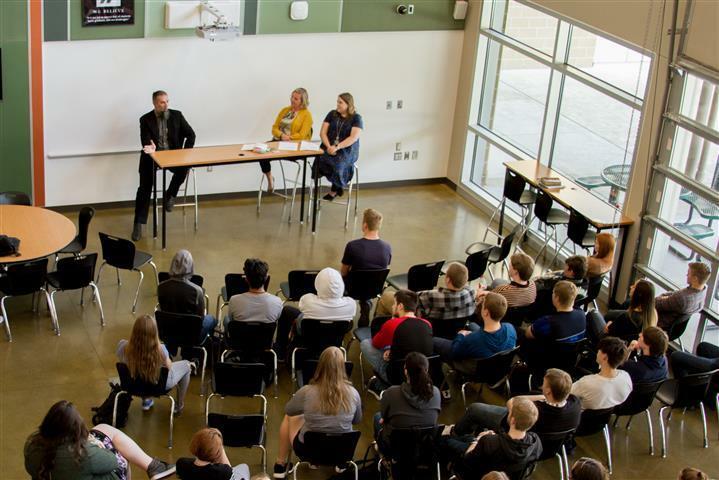 On Constitution Day, September 17, Edward “Ted” Debray, Staff Attorney for the Cowlitz County Office of Public Defense, spoke to students in both Shari’s and Katie Klaus’ social studies classes at Woodland High School. 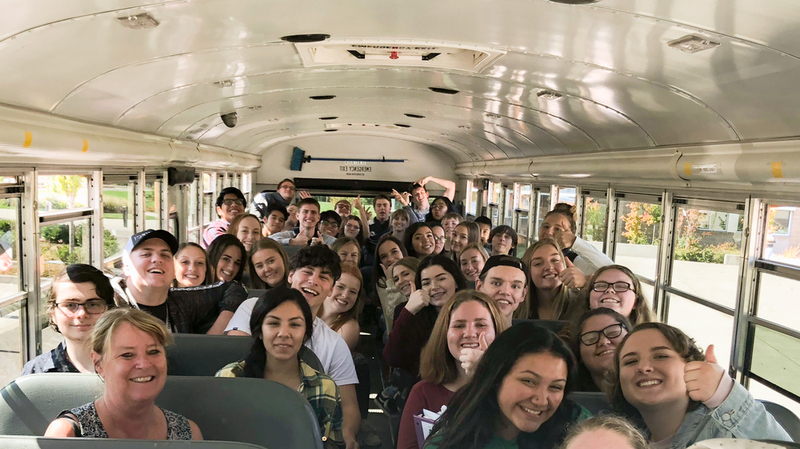 On September 18, Shari took her AP Government students to a debate hosted by the Woodland Chamber of Commerce between Incumbent U.S. Representative Jamie Herrera Beutler and her Democrat challenger, Carolyn Long, at the Oak Tree Restaurant in Woodland. Students engaged with other people at the debate and learned a lot about the perspectives of different Woodland community members. Students also talked about the two candidates approaches to a variety of topics including how each candidates’ personal background might affect the way they voted on different legislation during their terms. Shari Conditt and her class held a discussion to talk about their impressions of the debate, the candidates, and even the audience members.